Celtic and Rangers “will go head-to-head” in the hunt to sign Hearts striker Uche Ikpeazu in the summer, according to the Sun. The newspaper has claimed that the Edinburgh club value the 24-year-old at £1million and that he is also attracting interest from Hull and Cardiff. It is understood that Ikpeazu has impressed with his physicality since joining Hearts on a free transfer last summer and even though he extended his contract until 2022 last month, Celtic and Rangers are still keeping tabs on the centre-forward. Ikpeazu has not played a lot of football this season due to injury, but he has done quite well for Hearts and Craig Levein’s side are definitely a better team when the ex-Cambridge forward is involved. He has made 20 appearances in all competitions this term but has only scored two goals in the process. For £1million, Celtic need to be looking at strikers who have a proven record of hitting the back of the net. Ikpeazu does offer a lot in attack due to his powerful style of play, but that is not really something that the Hoops need in the summer and they are better off looking at other striker targets that could be cheaper. 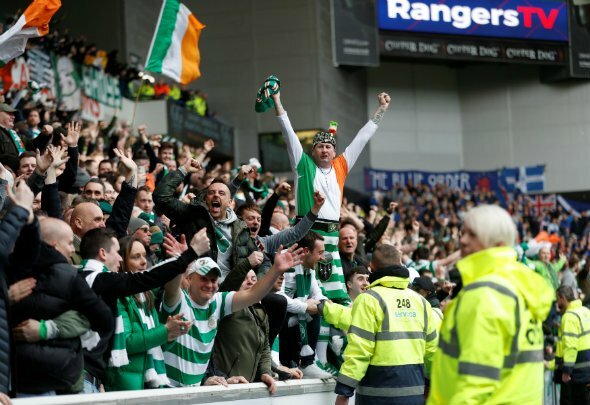 Celtic don’t seem to know who their next permanent manager is going to be, so any transfer targets that are being identified right now could be scrapped by whoever ends up succeeding Brendan Rodgers at Parkhead. Ikpeazu only signed a new deal at Tynecastle last month as well, so that must count for something. Celtic, and Rangers, are probably looking to sign more prolific strikers than the Hearts powerhouse.